Downton Abbey is many things: Clever, dramatic, funny, tragic. But it is not diverse. The world of the Crawleys is insular and aside from a couple of Americans and the ill-fated Turkish diplomat Mr. Pamuk, there are no characters from other regions or races. But in an interview with The Telegraph, Julian Fellowes, the show's creator, says it would be "rather nice to open it up ethnically a bit." "Oh I think that's rather a good idea. You have to work it in in a way that is historically believable, but I am sure we could do that. [The show] certainly ought to have an Indian character from that period." It's true! When it comes to historical accuracy, there are a few different completely believable possibilities: Chinese people began settling in London and Liverpool in the early 19th century; British shipping companies employed Chinese sailors during the Napoleonic Wars. There were some successful black Britons in London during the Victorian era. But portraying an Indian Briton on the show would make a lot of sense, since there were around 70,000 Indians in Britain in the early 20th century. Of course, first the show would have to get picked up for another season: The third just ended in the UK and has yet to air in the US, and a fourth has not yet officially been announced. Still, Fellowes is hopeful: "[ITV] are always pretty close to their chest in terms of an actual commission. But I think I'd be surprised if there was not a fourth series," he says. 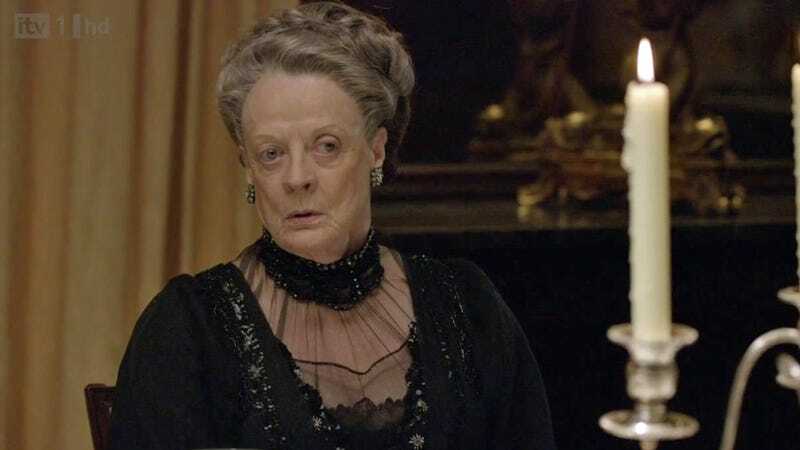 Just imagine how wonderful it will be when the Dowager Countess is forced to interact with a person of color.